I have an OBDEleven scan tool. I learned the hard way that leaving the scan tool plugged in full-time isn’t a great idea. Mine has lived in the glovebox for the past 18 months. There’s nothing terribly wrong with that. However, GolfMk7.com user “southpawboston” created a slick solution that I knew I had to have. The Mk7 GTIs have the MIB2 brains in the glovebox. There are holders on either side, one for SD cards and another for ID cards. Keeping spare SD cards in the glovebox is very handy for a photographer who sometimes forgets the camera’s SD card. I do not find the ID card holders very useful. 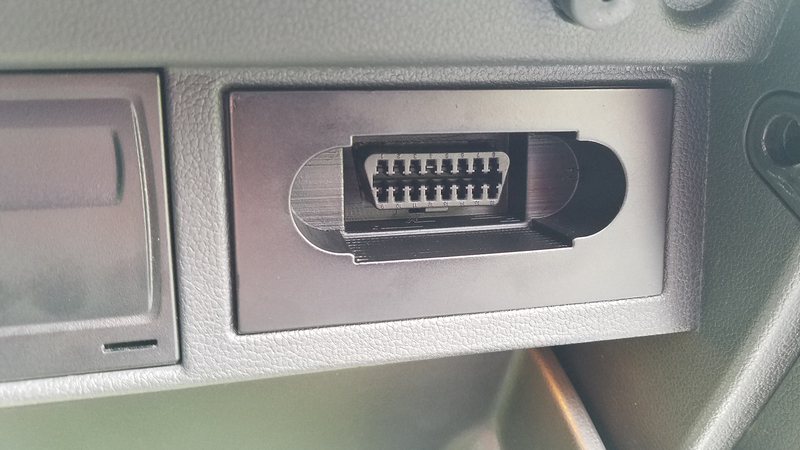 This is where the OBDEleven scan tool holder fits. 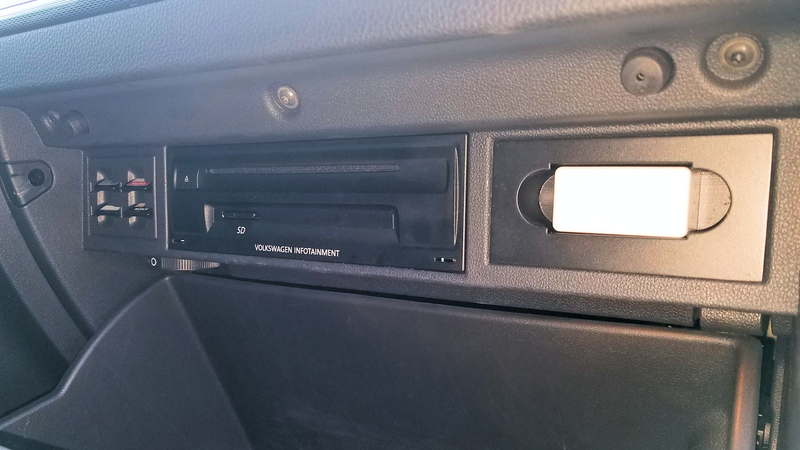 Southpawboston essentially created a fake OBD port that clips into the existing opening in our cars. Check out THIS THREAD for details on how to get one of your own.